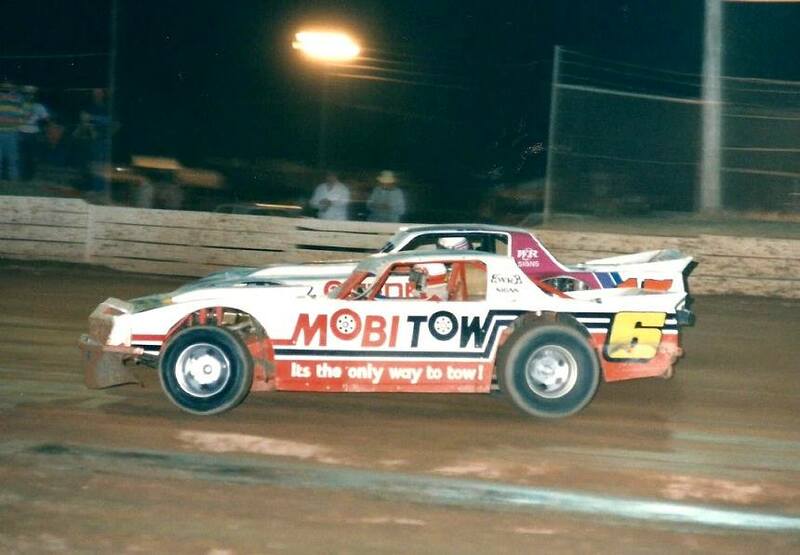 1986 Pictured below getting her hands dirty again, Denyse Butcher drove a great race to finish in 4th. Photo: Cec Roads. 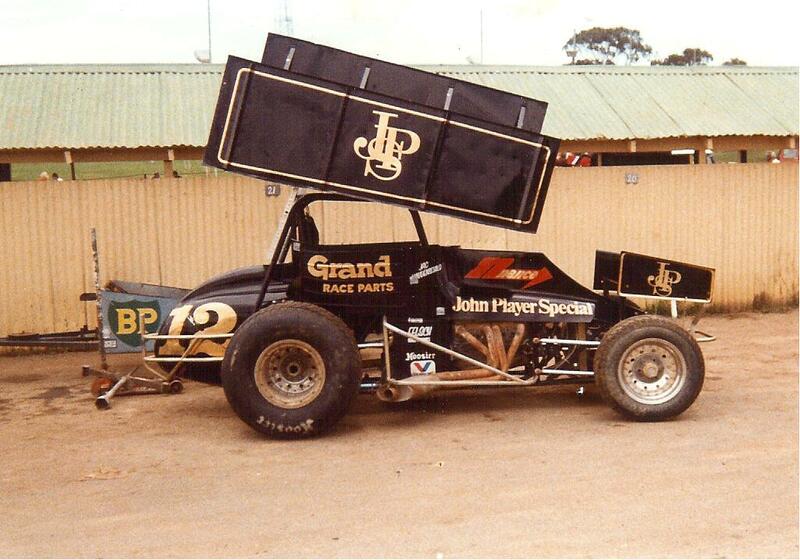 1986 Tony Giancola a fair winner of Australia's leading Grand Nationals event. 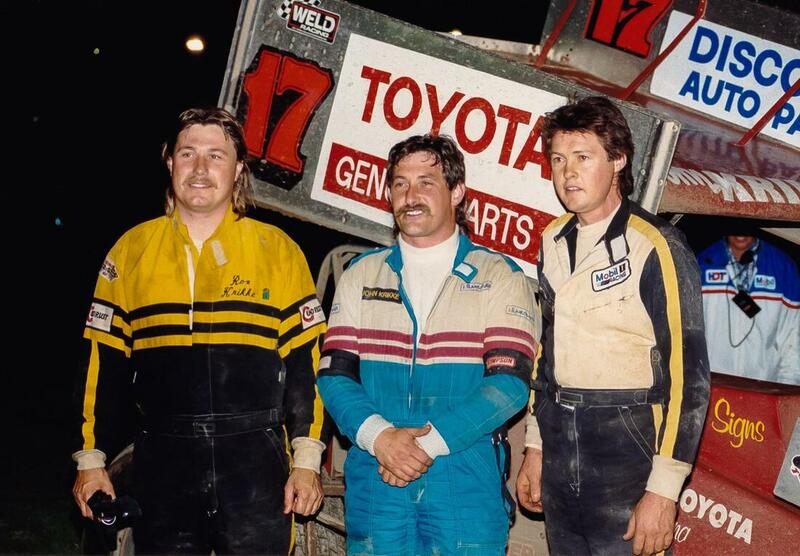 1986 Big Bad Bert Vosbergen leads Bill Bacon, Vosbergen is god in WA but couldn't match Giancola. 1986 Alan Butcher getting measured. Photo: Geoff Meyer. 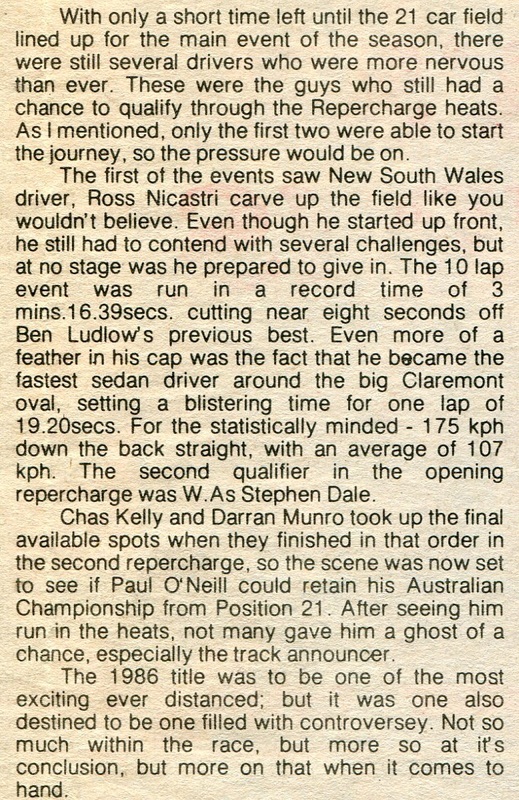 1986 Paul O'Neil current Australia 1 works overtime. Photo: Cec Roads. 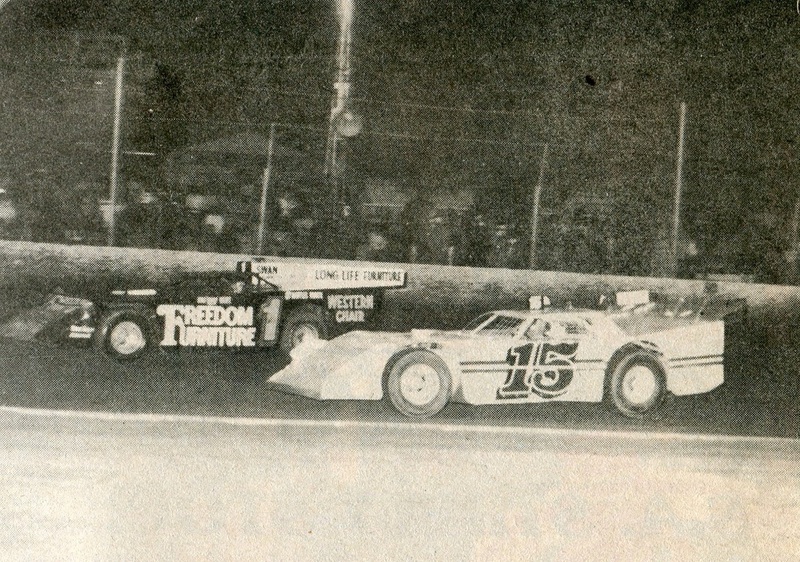 1986 Ross Nicastri new track record holder at Claremont. Photo: Geoff Meyer. 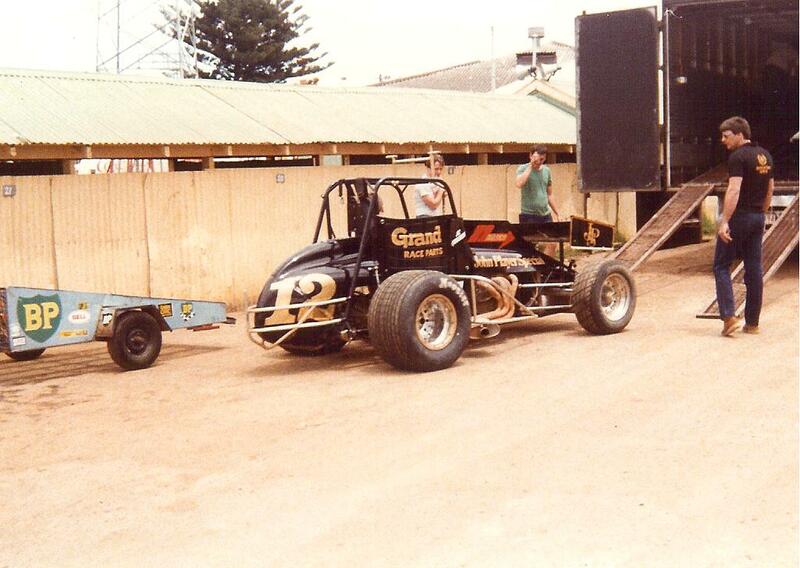 1968 - Ross Nicastri from New South Wales. 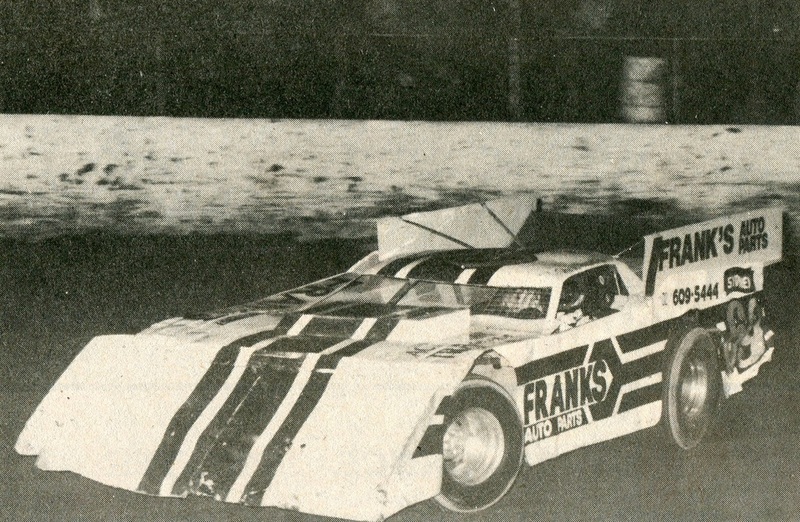 1968 - Local West Australian Merv Chesson in the 62 car. 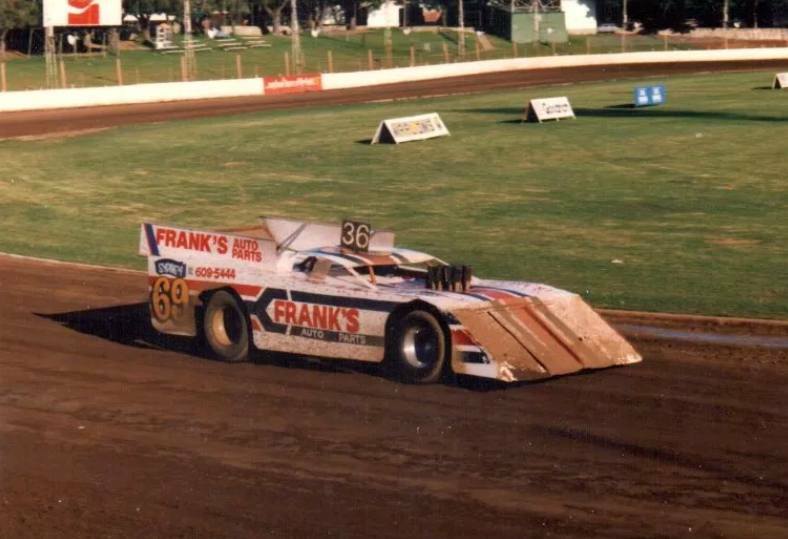 1986 - Gene Cook from Tasmania in the 41 machine. 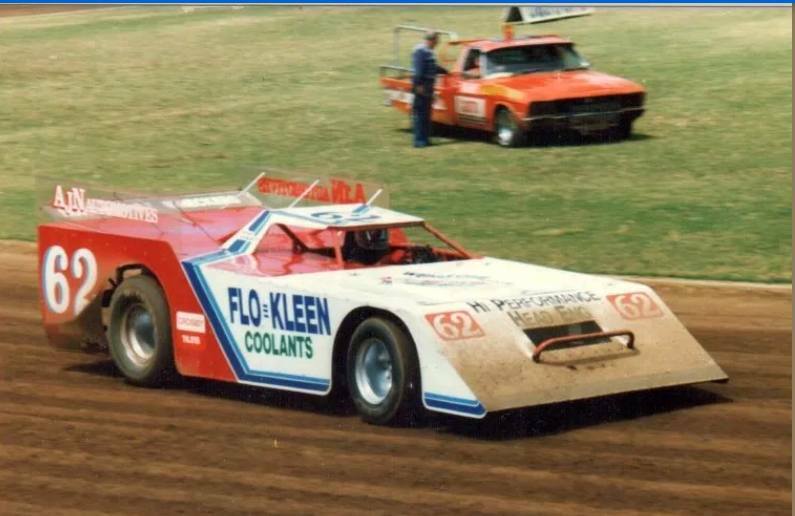 1986 - Allan Nylanders 44 AJN Automotive Grand National. 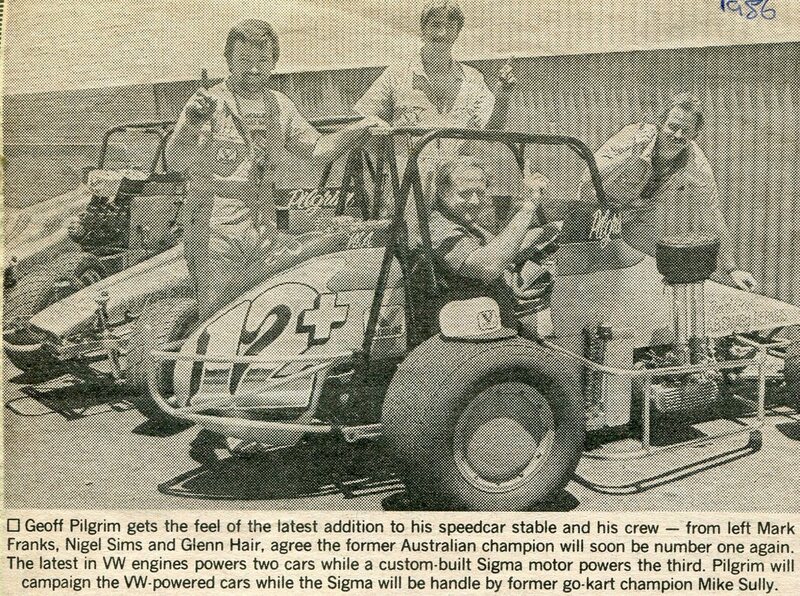 1986 - Tony Giancola proudly displays Australia 1 after the championship. 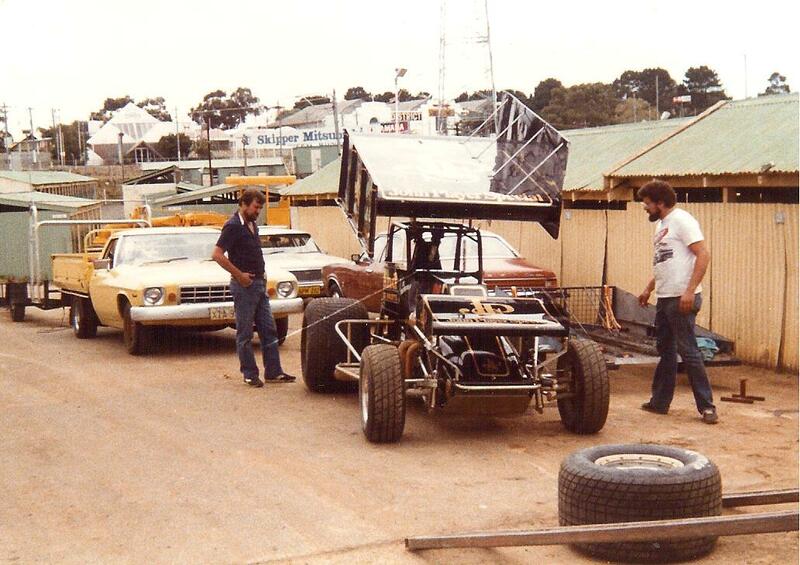 Claremont Speedway hosted the 1986/1987 Australian Speedcar Championship. 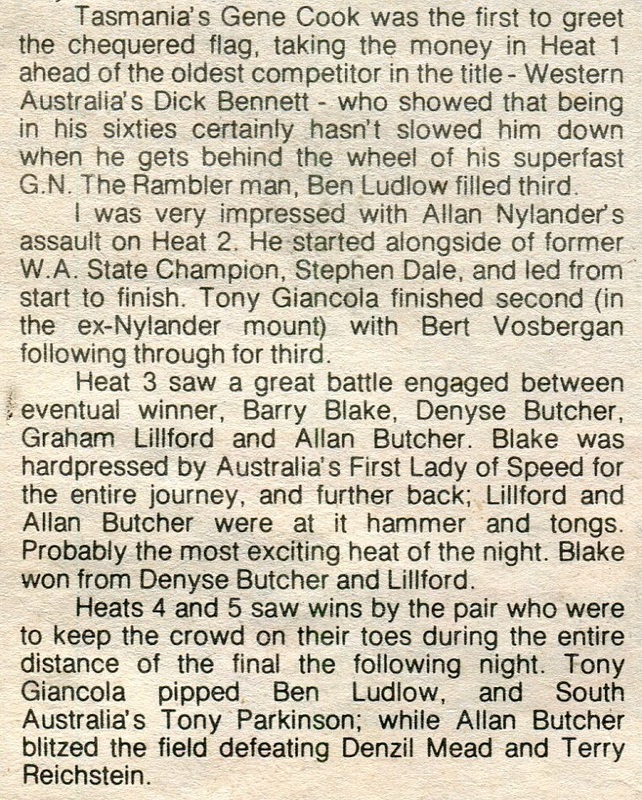 Tom Watson from Western Australia won the title from Gary Dillon and John Sears both from South Australia. 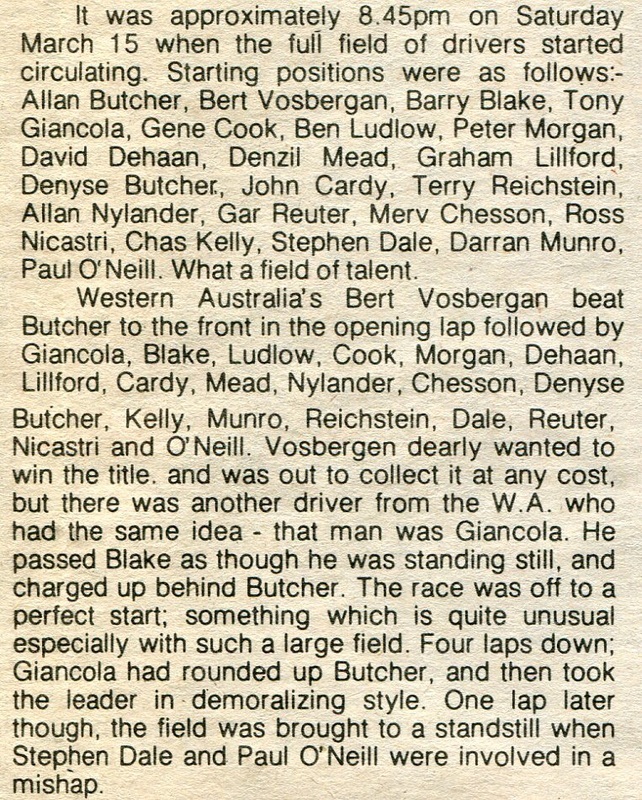 Queensland driver Eric Mitchell driving a Volkwagon powered car owned by John Mulcahey was air freighted in especially for the Championship. Tom Watson snr and the team, yes number one. Photo: unknown. Australian team: left to right: John Langfield - Laurie Hodgson - Bert Kingston - John Boulger - Gary Middleton - Bob Valentine and Chum Taylor (Captain) front. Photo: Peter Roebuck. 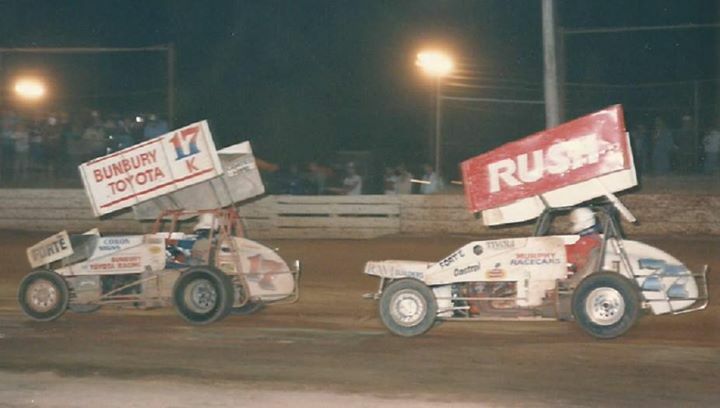 Claremont Speedway hosted the 1988 1989 West Australian Sprintcar Championship on the 28th of October 1988. 2008 - State championship podium. 3rd Ron Krikke - 1st John Krikke - 2nd Ian Bradford. Photo: unknown. 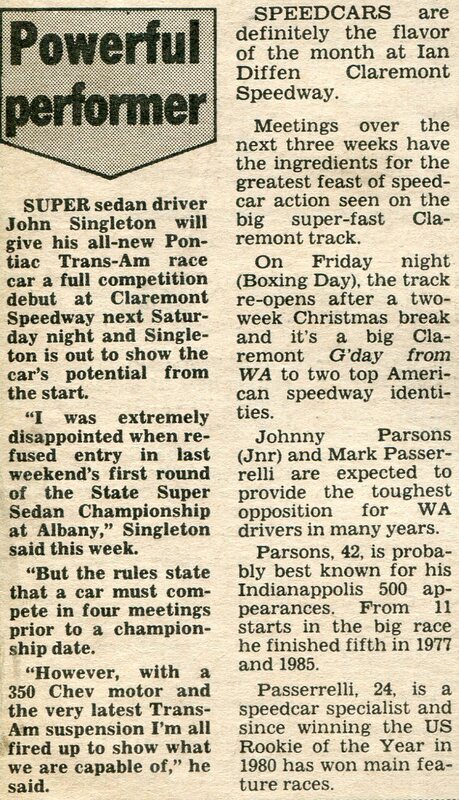 During the 1988 - 1989 season a USA speedcar team appeared at Claremont Speedway, That team was Kevin Olson and Jeff Gordon, Controversy surrounded the car with regards to engine size, but none of that mattered one a young man by the name of Tom Watson junior from Perth finished on top. Photo: Brad Clayton. Stephen Arrigo full noise around the big Claremont track in the Kendrick Action Performance car. Photo: Peter French. 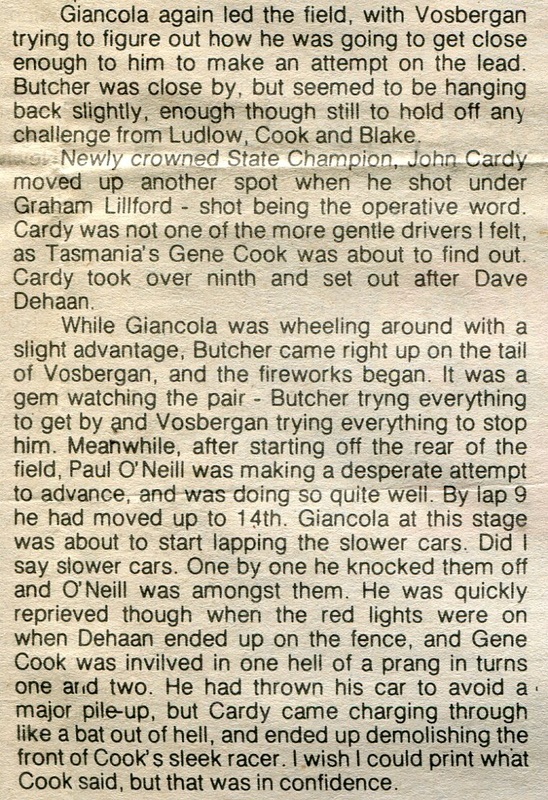 Mick Thomson recalls: while at Claremont Speedway one mid afternoon, while Con was entertaining some guests in the upper lounge area, a group of us had set up a little pit area on the infield, in the pit we had a collection of machines to turn in some demonstration laps, Bob Oleary had some solos there, Nashy had a sidecar and we had the Charlie West speedcar as well, The occasion was the un-vailing of the new headstone on Ron Johnsons paupers grave at Karrakatta Cemetery. During the afternoon while these drivers and riders were running there machines around the track, an elderly man dressed in a short sleeve shirt, a pair of shorts and sandles, no one took too much notice of him until he asked if he could sit on one of the bikes, that was ok Bob said, straight away this bloke new a bit about solos, just by how he sat on the bike, so he asked him, would you like us to give you a push and you can do a few laps on the grass. 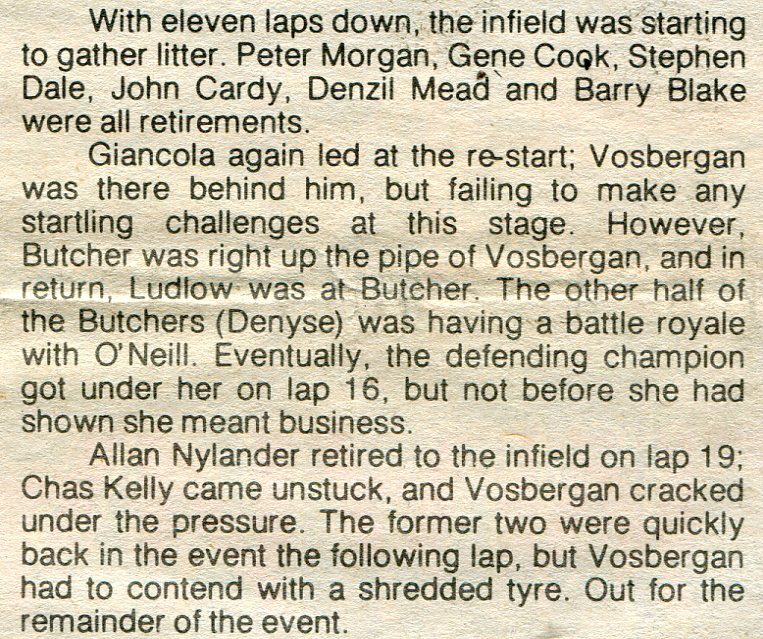 The man agreed and he was pushed away and started, after a short distance on the grass he ventured onto the dirt track and opened up the throttle, this unknown rider straight away assumed the position of a champion on the bike and poured on the power, setting a cracking pace around the big showground track. No one could believe what they were seeing, Con rushed out from the stands, The idiot with no leathers and boots was at full race pace and in control. 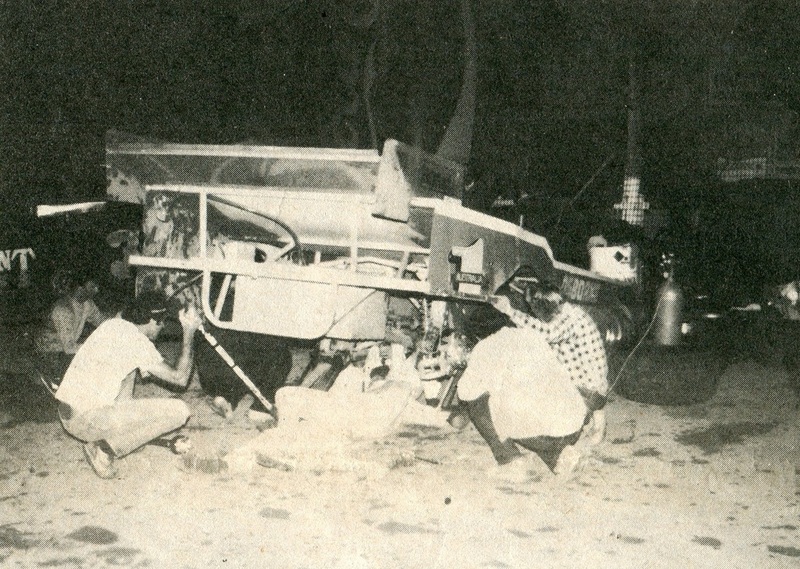 As he backed off the throttle and rolled back onto the infield, the boys gathered around in dis-beleive, This mistery man with the worn out sandle removed his helmet and introduced himself as Tommy Price 1949 World Solo Champion.